The Department of Education has released the federal report on how Iowa’s 1,302 public schools are performing. 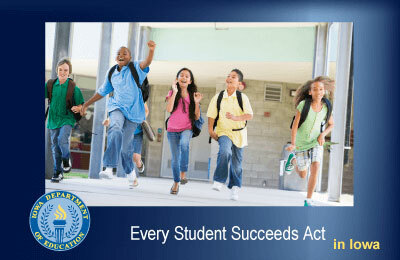 The Every Student Succeeds Act replaces the federal No Child Left Behind Act and grades schools based on their overall performance and also looks at the performance of subgroups of students — children from low-income homes for example. The performance is measured using student surveys on safety and the learning environment and gauges academic growth as well based on achievement in reading and math. Thirty-four schools are identified in need of “Comprehensive Support and Improvement” because their overall scores fall within the lowest five percent of Iowa schools receiving federal funding, or they are high schools with a graduation rate below 67%. There are 307 schools identified for “Targeted Support and Improvement,” schools after one or more of their student subgroups scored the lowest five percent of schools in the state. The schools can get rid of the designation when they are no longer performing within the lowest five percent of Iowa schools after three years. To find out more about your school, go to the Department of Education’s website.